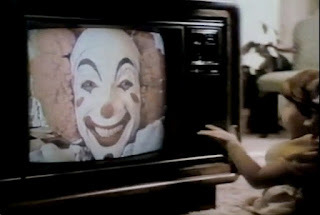 From 1982 GE commercial - "We Bring Good Things to Life"
Clown pun not intentional - but perhaps apropos, not just with reference to GE but to U. Va's health IT leadership team as well. It seems both parties might have had a role in this debacle (see additional links in the article below). The University of Virginia this week reportedly has settled a $47 million civil suit against GE Healthcare over what it believes was sloppy--and ultimately incomplete--development and implementation of an electronic medical record system. The case, which originally was filed in 2009, had been set to go to trial this week. When FierceHealthIT checked on Friday, the case had yet to be entered into the circuit court clerk's records. In 1999, UVa hired IDX Systems Corporation to develop an integrated healthcare information management system, according to The Daily Progress. Amendments to the contract in 2002 divided the project into four phases, with the first two focusing on implementation of the records management software, and the last two focusing on billing and logistics. After acquiring IDX in 2006, GE was tasked with hitting the milestones outlined through Phase 2 by June 2008; UVa claims it never did, and in February 2009 asked for a refund of more than $20 million. At that time, UVa also awarded a $60 million contract to Epic to perform the same tasks, according to C-Ville.com [see note 1]. GE swiped back, blaming UVa for the delays in implementation, and saying that by going with Epic, the school "failed to perform its obligations under the agreement, breaching its contract," according to a filing obtained by the Daily Progress. The case isn't too surprising, considering that GE Healthcare has had issues since purchasing IDX. In a KLAS report from August 2010, author Kent Gale said there was a "downward trend in GE's meeting commitments" to its customers. Besides what was undoubtedly a huge waste of money and resources, what is missing from this story is the possible impact of this debacle on patient care. Not "hitting the milestones" of phase 1 and 2 ("focusing on implementation of the records management software") and peforming "sloppy and incomplete" work can probably be translated as having had "bull in a china shop" effects on records management. Perhaps the morbidity and mortality rates at U. Va during the period of EHR mayhem need to be examined. From the link to C-Ville.com: "According to UVA’s complaint, the deal dates to 1999, when UVA contracted with tech firm IDX to develop an electronic medical record system, or EMR, for its hospital. But problems started early, UVA claimed, with IDX failing to hit milestones on the multi-phase project. When technology company GE took over IDX in 2006, the parties got together to rework the contract. But UVA said the issues continued, and it ultimately pulled the plug, saying GE failed to meet its obligations. GE, meanwhile, claimed it was UVA that broke contract. The two parties had agreed to work together on the complicated project, according to the company’s counterclaim. UVA was to act as a development partner, collecting and processing two decades’ worth of patient data and building and testing the system. But the medical center didn’t hold up its end of the bargain, said GE, making it impossible for the company to stay on schedule." Did Toxic Effects of an EHR Kill Rory Staunton?